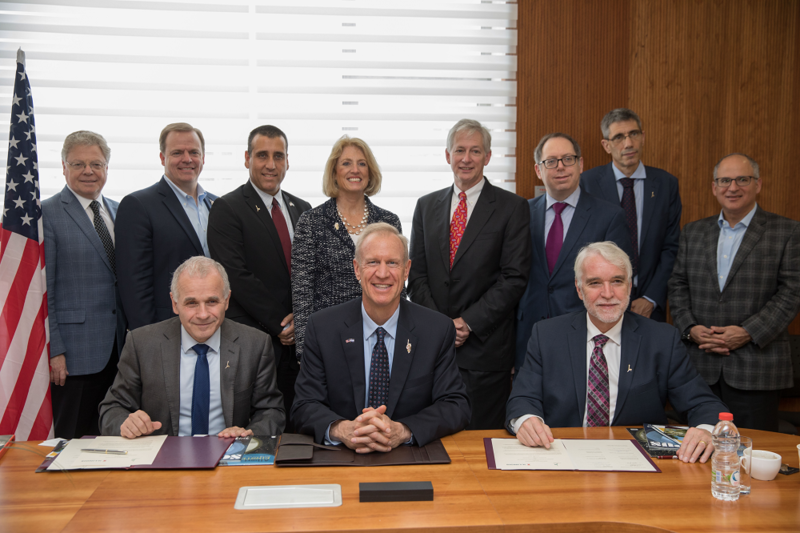 The University of Illinois has signed a research partnership with the Hebrew University of Jerusalem. U of I President Timothy Killeen signed the pact Tuesday during Gov. Bruce Rauner’s trip to Israel this week. Rauner says the collaboration will boost Illinois’ economy. Officials say Hebrew University has more than 100 research centers and 7,000 patents to its credit. They say like the U of I, it’s routinely ranked among the top universities globally. Asher Cohen is Hebrew University president. He says the school is trying to “establish internationalization,” expand student-exchange programs and advance large-scale research.